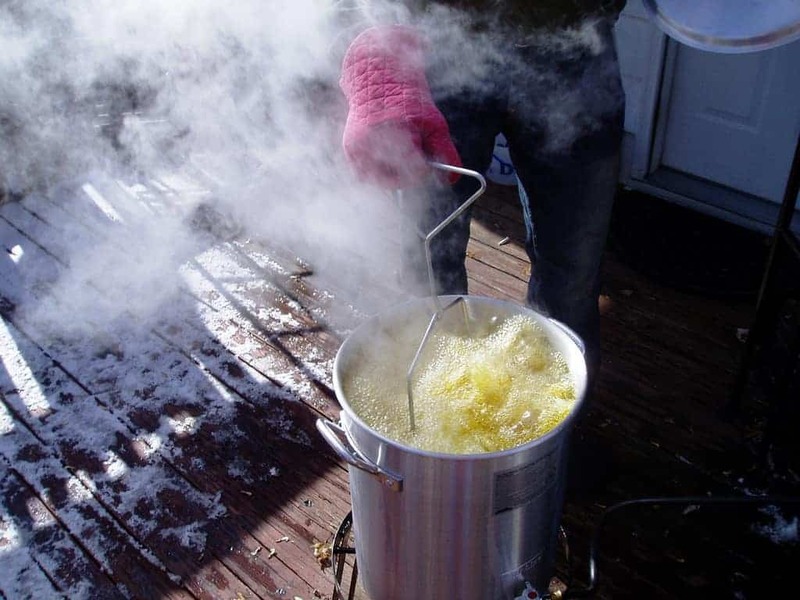 Have you thought about deep frying a turkey, but you are fearful you might burn something down? That is actually a legitimate concern. It can easily happen if you don’t do your research and carelessly toss a turkey into the deep fryer without much thought. 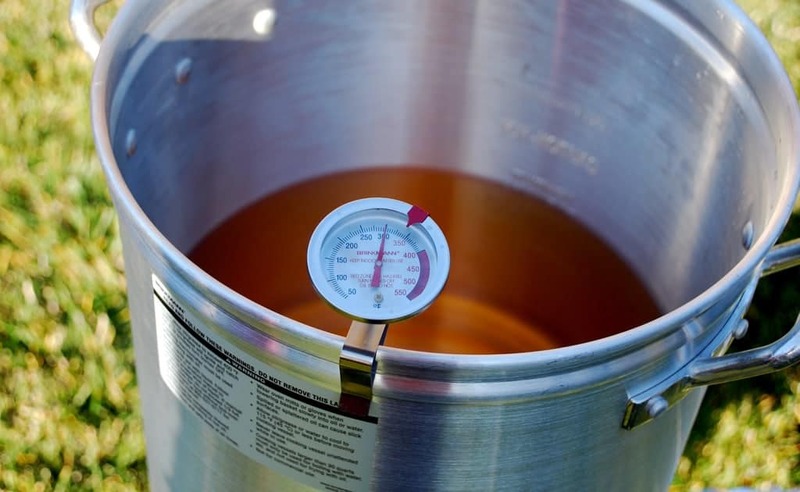 We have been deep frying our turkeys for years, and we have a few quick tips and instructions to help you deep fry your first turkey. Before you get started, be sure to have everything you need long before Thanksgiving Day. 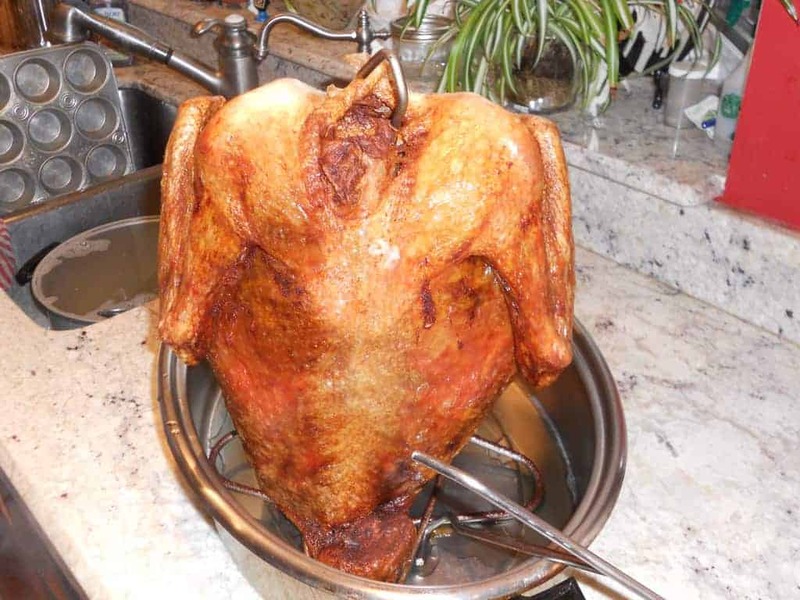 Deep frying is relatively quick compared to traditional oven baking, but if you don’t have everything ready ahead of time, a mistake could mean you end up without a turkey or worse… a visit from the fire department. Set up your deep frying area in a space that is open without debris on the ground or anything that could easily catch fire. It is best to do it in an open area without an enclosure because if something does go wrong and flames shoot upwards, it could easily catch a ceiling or roof on fire. Also be sure that children and pets cannot get near the frying pot. 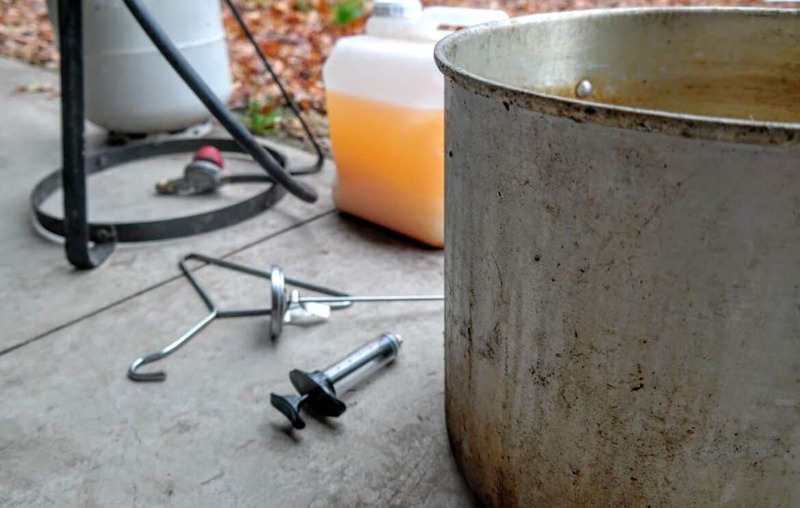 Once you have your area set up, you’ll want to measure exactly how much oil you will need because if you don’t, placing the turkey in too much oil could cause some to splash out, hit the open flame and cause a fire. Put the turkey in the empty pot, fill it with water until the turkey is immersed but not so much that it will cause splash over. Pull the turkey out then mark the waterline. Don’t fill the oil over this mark. To make your turkey extra tasty, try using a meat injector and adding marinade of your choice. We sauté garlic in butter then use that to inject it into the turkey in various spots. Mrs. Happy Homemaker has an incredible recipe for meat injection. Her Homemade Butter Creole Injection Marinade is a delicious option to make your deep fried turkey even more heavenly tasting. Make sure the pot is dried and does not have any water droplets. Keep the propane tank as far away from the flame as possible. Fill the empty pot with the appropriate amount of oil and light the burner. Let it heat until it reaches 350 degrees Fahrenheit. You want the oil temp to be consistent throughout. You will know it is consistent when the temperature stays the same after repeated checking. 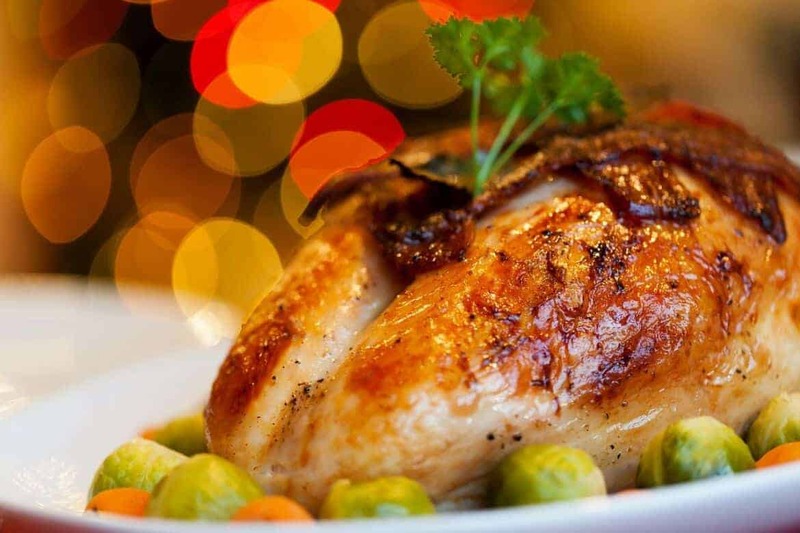 Before putting the turkey in, be absolutely sure that it is defrosted and wiped dry. If it is still frozen it will EXPLODE. Tip: Start defrosting at least one day before deep frying, but ideally, it should be longer. Slowly put the turkey into the pot using either a hook or a deep fryer basket. Don’t DIY your own concoction to lower and raise the turkey. This could easily backfire, cause the turkey to fall and start a fire and or severely burn you. Cook time should be 3 ½ minutes per pound of bird. Pull it out with hook or basket when it has cooked according to the equation above. Stick the thermometer into the thickest part of the thigh. It should be 180 degrees Fahrenheit. Done! You’ve got a deep fried turkey. While it may be somewhat intimidating to deep fry your turkey, it is actually faster and makes it much juicier and more tender. You might even be able to talk the men into hanging out in the garage to cook the bird while you focus on the 500 other things you have going on. If you happen to be the organized type, and you have everything done ahead of time, let your hubby do the deep frying and you can enjoy a glass of wine with the girls.